If I said to you what do you know about Eberspächer you would probably immediately think about a company that supplies heating and ventilation systems for buses and coaches particularly minibuses and coaches. Secondly you’d think German. You would be right on both counts, but Eberspächer is much more than that. The German end of the business is predominantly involved with the design, development and manufacture of exhaust systems for motor vehicles and advanced electronics. The vast majority of vehicles produced in Europe and in many other parts of the world use Eberspächer exhausts and heating and ventilation systems. It might not have their name on it but it will almost certainly have come from one of their factories. If you saw the recent ‘Top Gear’ TV programme where they were playing about with sound to replicate the distinctive sound of an Audi Quattro or a Ferrari you probably thought it was a spoof. It wasn’t, Eberspächer has been developing for some years exhaust systems that use decibel frequency of sounds to eliminate the genuine decibel level of exhaust noise produced by an engine. So successful have they been that now they DO have to put noise back into the exhaust for those that want it, but it is ‘synthetic’ sound not the genuine sound of the engine. Eberspächer is one of the giants of the European automotive industry and believe it or not it is still a family owned business. If I said Eberspächer UK to you, you would probably think UK subsidiary of the German parent distributing its products throughout the UK and Ireland and you would be completely wrong. Eberspächer UK is a manufacturing centre in its own right. 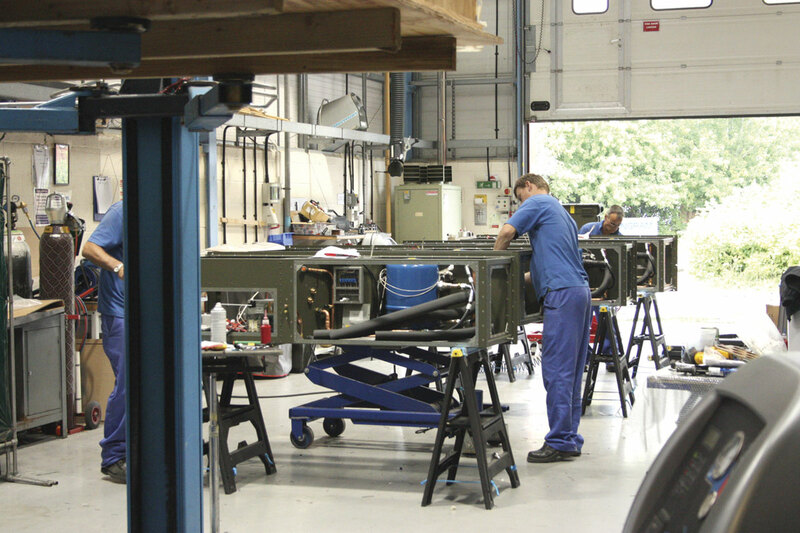 It is responsible for the design, development and manufacture of heating and air conditioning systems primarily, though not exclusively, for minibuses and coaches. Eberspächer UK was established in 1977 in Brockenhurst, Hampshire but since 1989 has been based at Ringwood in the New Forest between Southampton and Bournemouth. The business has grown steadily over those years and today has a turnover of around £20million. It has weathered the recent economic storm well, continuing to turn in profits throughout that period. 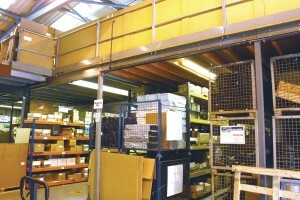 The basic factory occupies 2,000 sq m but within the town of Ringwood they have expanded into three other unconnected facilities – not the most efficient way of operating a manufacturing operation but like Topsy the business has ‘just growed’ and Eberspächer UK was forced to take on additional sites to cope with the expansion. Now all that is about to change as Eberspächer UK embarks on a £6million development of a totally new, purpose built, facility. The new development is still within Ringwood, which the company was keen to achieve, because it wanted to retain its highly skilled workforce. The site, although not the factory, will be known to some of our older readers because it used to be where the once famous name of Wellworthy was based. Manufacturers of engine pistons favoured by diesel engine builders like AEC, Gardner and Leyland. Their factory has long gone but soon Eberspächer UK’s new facility will arise on the site. It is a day that Vincent Lee, MD of Eberspächer UK cannot wait for. Vince, like many of the Eberspächer UK employees, has worked for the Company for many years. Over thirty in his case. 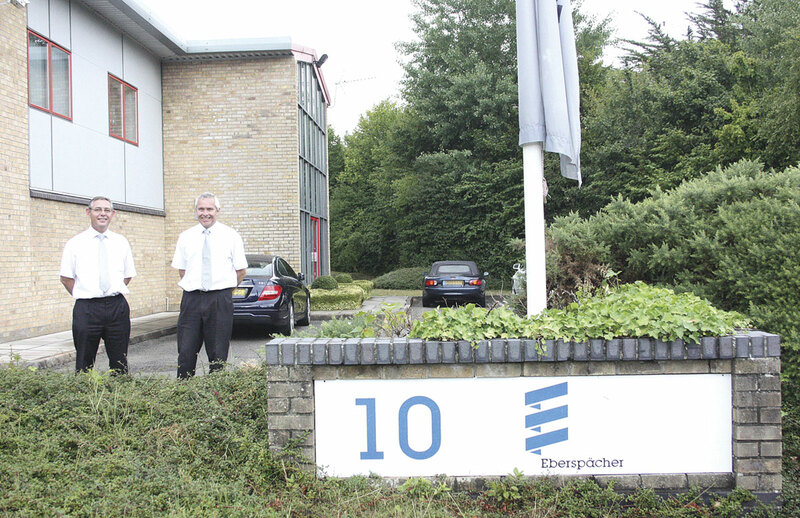 Indeed Eberspächer UK could well be a record setter in terms of the employer/employee length of association, the vast majority of the company’s front line staff have worked for the company for a long time. Vince is a firm believer that continuity of contact between the team and the customer is a vital component of Eberspächer UK’s success. The new factory is on a three acre site and will cover 55,000sq ft on two floors. The building is to be built by two well respected local companies, Morrish Builders of Poole and Jade-Aden Services of Wareham working in partnership as JAM.